Growing up stocking shelves, meeting customers and running the cash register at Carriss Grocery has taught Brock Lisby the value of planting roots in a community where people care about each other and are committed to preserving heritage. His family’s store served as a school room of life’s lessons, a place where he learned to cook, clean and connect with people, including his wife, Brittany, whom he met there. Born and raised in Southville, Brock and Brittany have settled their family on 40 acres there, where they teach their two young girls, Aniston and Carris, the value of farming and working hard and the importance of family traditions. Grounded in the work ethic with which he was raised, Brock attended University of Cincinnati and University of Louisville, where he pursued degrees in business and marketing. He put his experience to good use at CH Robinson Worldwide, one of the largest logistic companies in North America. Starting as an intern, he worked his way up to supervisor of a large account management team and served the company for nine years. 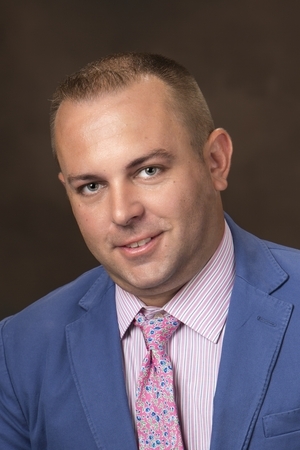 As he and Brittany started their family, the pull toward working in his hometown led Brock to a career in real estate, which he has nurtured for the last five years with Torrey Smith Realty Company. As his family has grown, so has his commitment to the community. Watching his uncle, Tony Carriss, serve as magistrate of the sixth district for nearly three decades, Brock decided to pursue carrying on another family tradition and run for office. His experience and love for the community where he learned about life offers him both strong roots and a vision for the future of the sixth district that will continue to inspire future generations to embrace the same passion he has for Shelby County.